All monsters are changed to face-up Attack Position, also their battle positions cannot be changed. (Flip Effects are not activated.) 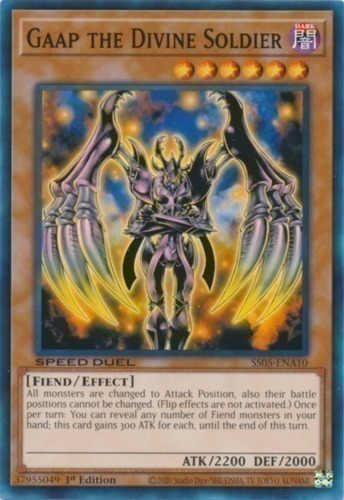 Once per turn: You can reveal any number of Fiend-Type monsters in your hand; this card gains 300 ATK for each, until the End Phase.